It is with a big sense of achievement, but also with some trepidation, that I have just published my first novel on Amazon. 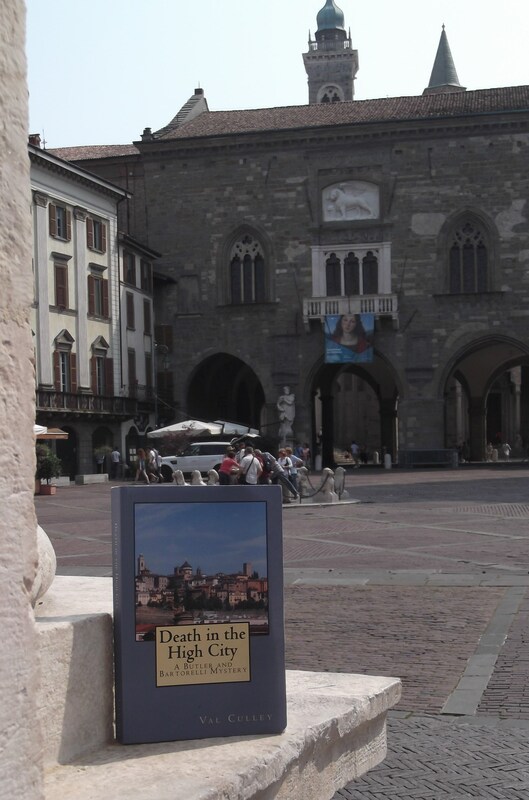 Death in the High City is a crime novel that takes place in Bergamo in northern Italy. It is the first book in a series featuring detective duo Kate Butler, a freelance journalist, and Steve Bartorelli, a retired Detective Chief Inspector who is of partly Italian descent. The novel has enabled me to write about Italian culture, food and wine and also indulge in my fascination for detective fiction. 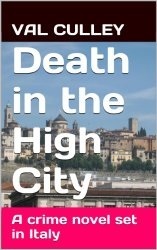 Death in the High City is believed to be the first British crime novel to put the spotlight on Bergamo. It centres on the investigation into the murder of an English woman who was writing a biography of the composer Gaetano Donizetti. The victim had been living in an apartment in Bergamo’s Città Alta and much of the action takes place within the walls of the high city. The local police do not believe there is enough evidence to open a murder enquiry and so Kate Butler, who is the victim’s cousin, arrives on the scene to try to get some answers about her cousin’s death. Kate visits many of the places in Bergamo with Donizetti connections and her enquiries even take her to nearby Lago d’Iseo. But after her own life is threatened and there is another death in the Città Alta, her lover, Steve Bartorelli, joins her to help her unravel the mystery and trap the killer. What inspires people to write about their travels? When you visit somewhere new, even the everyday things seem fascinating and you will find yourself telling friends and family about them when you get back. Just as people like to show you their holiday snaps when they return, or send postcards or text pictures to you while they are away, enthusiasm about what they have seen makes them want to tell others about it. A compulsion to share what they experienced abroad was what inspired the earliest travel writers. Centuries ago people kept journals about their travels or wrote long letters home giving detailed accounts of what they saw. Thank goodness they felt the need to share their experiences, because what they wrote has given us a marvellous insight into what places were like in the past. It is fascinating visiting Venice and seeing it through Lord Byron’s eyes, trying to imagine him in the narrow calle near his various residences, which have changed little since his time there. He wrote detailed letters about his experiences in Venice to his friends and so we know that he actually preferred to travel by gondola or swim along the Grand Canal to avoid being recognised walking about the city by the tourists of his day. One of Byron’s acquaintances in Italy at that time was Marguerite, Lady Blessington. She travelled further south after Byron set sail for Greece and spent more than two years in Naples staying in rented palazzi. 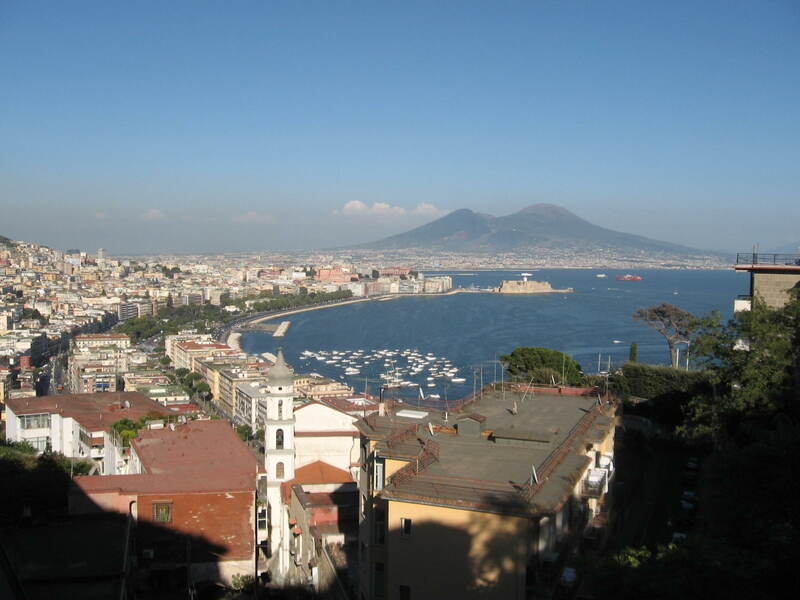 Her journals give us a fascinating insight into what Naples was like at that time. Lady Blessington was to fall in love with Naples and embrace the culture, attending local events, making what at the time were adventurous excursions and entertaining Neapolitan aristocrats and intellectuals. Those who know Naples will recognise in her vivid descriptions places that have remained unchanged for the last 200 years. She also provides a valuable insight into what life was like at the time for ordinary people as well as the rich and privileged. People who already love Naples will find her journals witty and endearing and those who have never visited the city will be inspired to go there as soon as possible. 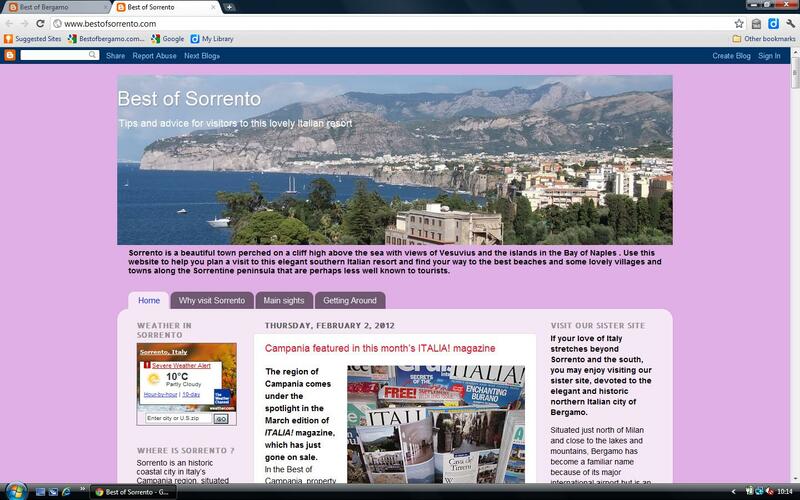 For more information about Lady Blessington’s Neapolitan Journals visit http://www.bestofsorrento.com/2012/07/see-naples-and-die.html. Val Culley's first novel, Death in the High City, is available as both a paperback and an ebook on Amazon. The novel is a crime story set in Bergamo in northern Italy featuring a brand-new detective duo, Kate Butler, a freelance journalist and Steve Bartorelli, a retired Detective Chief Inspector. It starts with the mysterious death of a woman who was writing a biography of composer Gaetano Donizetti. The book will be of interest to anyone who enjoys cosy crime fiction or novels set in Italy. For more information about Death in the High City visit www.bestofbergamo.com.